The Appennino Lucano-Val d’Agri-Lagonegrese is a national park in Italy which is home to some of the largest mountains in the entire country. The park is also close to other well-known national parks which includes the Pollino, Cilento and Vallo di Diano. It is also considered to be one of the youngest national parks in the country having only been established back in 2007. The area has been well-known over the years for offering some of the most awe-inspiring views of the surrounding countryside. The mountains are covered with beech trees and the white poplars only add to the beauty of the forests in the region. The wide open pasture lands and meadows are also commonly found throughout the park. 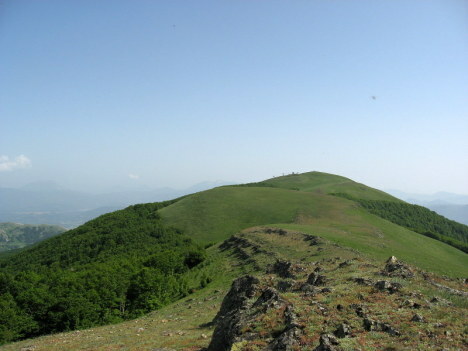 The tallest point of the park can be found at Mount Papa which towers at more than 2,005 meter above sea level. However, there are multiple mountain peaks throughout the area that are still well over a thousand meters above sea level. The lowest point in the Appennino Lucano-Val d’Agri-Lagonegrese National Park can be found in Murgia di S. Oronzo at only 300 meters above sea level. Along the ancient Agri River, one can find the Roman village of Grumentum. This archeological site is considered to be one of the most well-preserved sites in the whole of Italy. The ancient Roman town of Lucania is filled with wonders that have attracted countless visitors over the years. While the park itself was not developed for the protection of any particular species of wildlife, it is nonetheless inhabited by countless animals. Perhaps some of the most thriving species in the Appennino Lucano-Val d’Agri-Lagonegrese National Park are the amphibians. The Italian Newt or Lissotriton italicus can be found throughout the park along the edges of the many streams and rivers that dot the countryside. There are also the Yellow-bellied Toad as well as the Hyla Intermedia and Spectacled Salamander in the park. Showing that the area has a well-maintained ecosystem and that there is very little pollution, you can also find the European freshwater crayfish throughout the lakes and streams of the park. The crayfish is not the only crustacean in the park however. You can also find that there is an abundance of crabs. These crustaceans are important not only to indicate that the quality of the water in the park is good, but they are also an important stable food for the Otter who also calls Appennino Lucano-Val d’Agri-Lagonegrese home.